The information you need, at your fingertips. Simplify your field data management. Use digital maps to better analyze seed performance. Maximize your return with planting prescriptions and nitrogen monitoring tools. 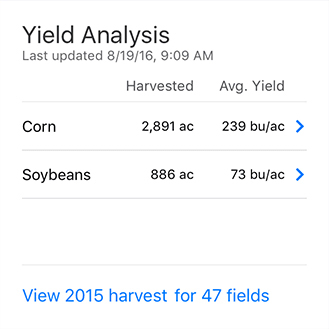 Climate FieldView™ is your data partner to support the decisions you make everyday. 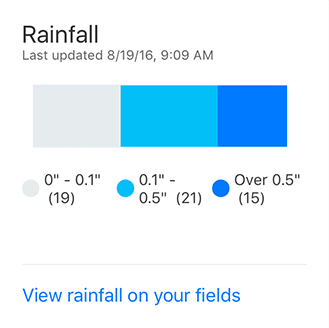 Make more informed decisions every day with weather data at the field level. 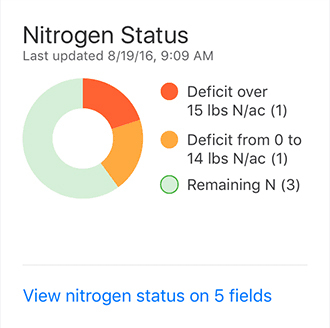 Avoid costly shortfalls by better monitoring nitrogen availability in your field by customizable zones. Identify and address potential issues before they impact yield with in-season and historical field imagery. 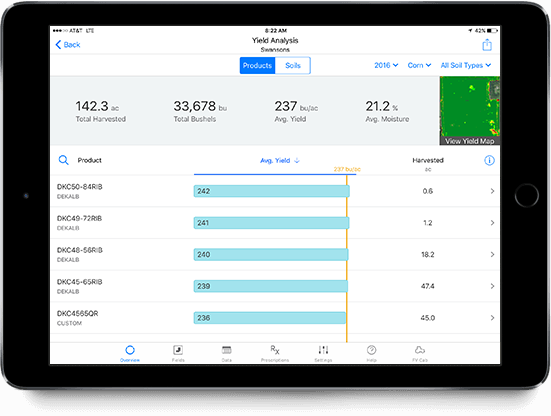 Measure the impact of your agronomic decisions and pick the best seed for next season with seed performance analysis by soil type, field, or even field region. 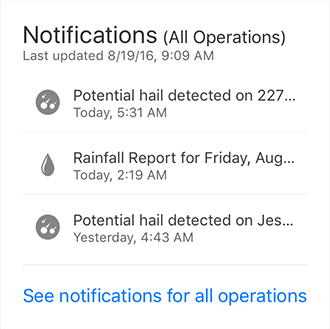 Stay up to date on the latest weather and other timely information that can impact your fields and operation. 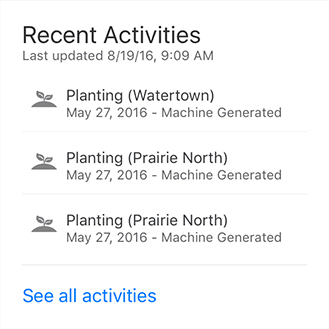 Review your latest agronomic activities throughout the growing season at a glance. 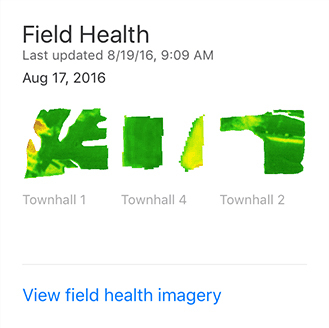 The Climate FieldView™ Drive allows you to see your field maps build in real time and easily transfer that data to your account. The FieldView™ Drive is simple to install and currently compatible with most John Deere planters, air seeders, sprayers, and combines and with several Case planters and combines. Watch field maps build in real time so you can identify and address critical issues in the moment. Find out what’s happening beyond the end rows with imagery that can help identify issues early and prioritize scouting. Evaluate the impact of agronomic decisions on yield this season, so you can maximize profitability next season. Use your historical yield data, combined with proprietary field testing results, to generate planting scripts tailored to your unique yield or profitability goals with Advanced Scripting. All scripts are fully customizable. Better understand nitrogen availability by field or management zone with tools that help improve your year-round nitrogen plans. Complete your plan with easy-to-use variable rate nitrogen and fertility scripting tools.